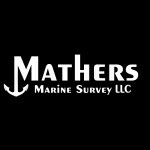 Mathers Marine Survey LLC specializes in Condition & Valuation (C&V) Marine Survey services. The C&V Marine Survey is essential for pre-purchase evaluation of a vessel, and is a requirement to qualify for insurance & financing. It is a comprehensive assessment of all vessel structures & systems, and usually includes sea trial testing & vessel haul-out. Hull & deck structures are closely inspected using non-destructive means of testing, and mechanical systems are observed for abnormalities. The inspection include evaluations of fuel systems, fresh water systems, sanitation systems, propulsion systems, steering systems, AC & DC electrical systems, navigational electronics, appliances, and ground tackle systems. Serving Western Washington and the Puget Sound Region.